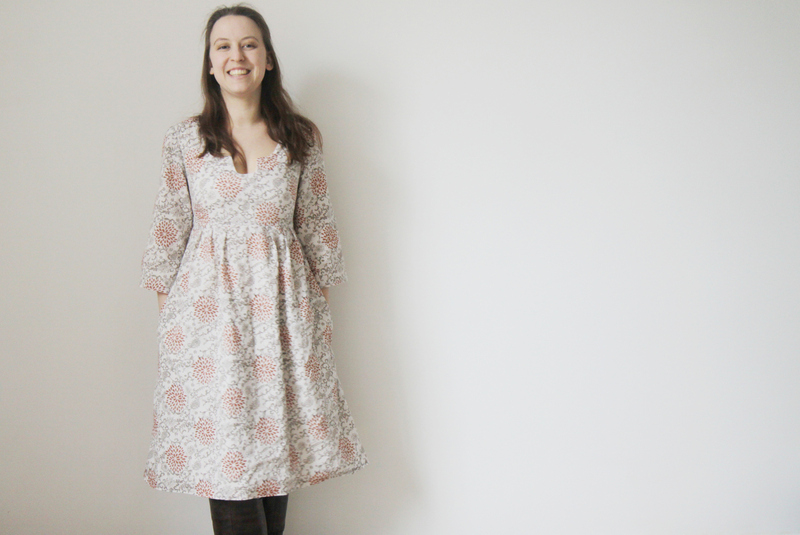 I have had the wonderful Washi Dress pattern in my shop since November, but I only managed to get around to sewing my own in January. You know what, I absolutely love it!! I had a pdf version of the pattern, so I had to spend a bit of time piecing it together. That was probably as tricky as it got, to be honest! I made the size S and the fit is pretty spot on. I find that with the cut out, it can be a little impractical as I am always bending over to pick up toys or a child and so I feel like it is a touch low without a top underneath. However, if I was just going out shopping or for a meal, then it wouldn’t bother me! Being all of five foot one, I probably could do with shortening the length of the dress, to be the most flattering length, but I quite like it being longer, so I will probably leave it for now. I also left the sleeves ungathered, hopefully I will get around to making a nice jersey version and then I probably will gather the cuffs of the sleeves. 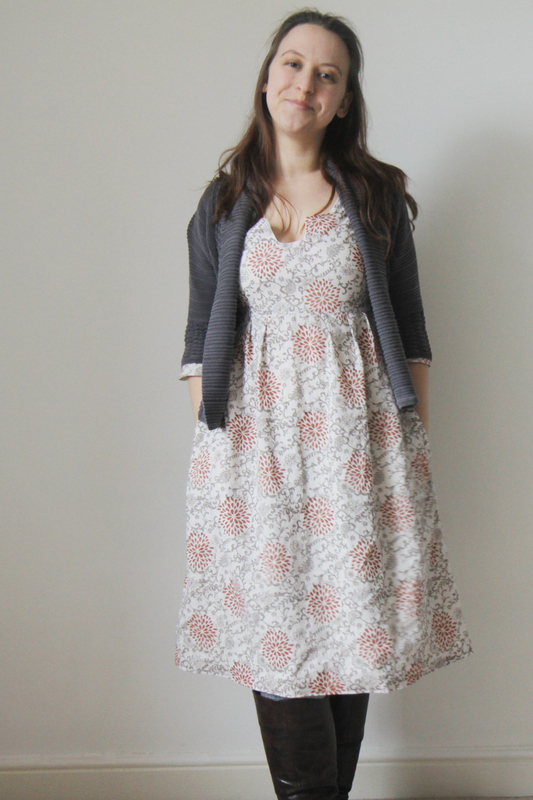 The Washi Dress, called for shirring, something I have never up until this point been successful with. I found this lovely video tutorial about how to adjust the bobbin tension on a brother machine, to fix this apparently very common problem for brother sewists. Initially, I tightened the bobbin fully and the shirring was too tight, so I halved the number of turns and that seemed right to me. You might be able to tell that this isn’t the main fabric I used, I actually decided to fully shirr the lining fabric as well. I also kept the pockets on the lining piece, as I thought perhaps with the voile being so thin, it might help make them a little sturdier, but they do feel quite bulky, so I think I will remove them at some point and just have the voile pocket. So, a little bit more about what I used. 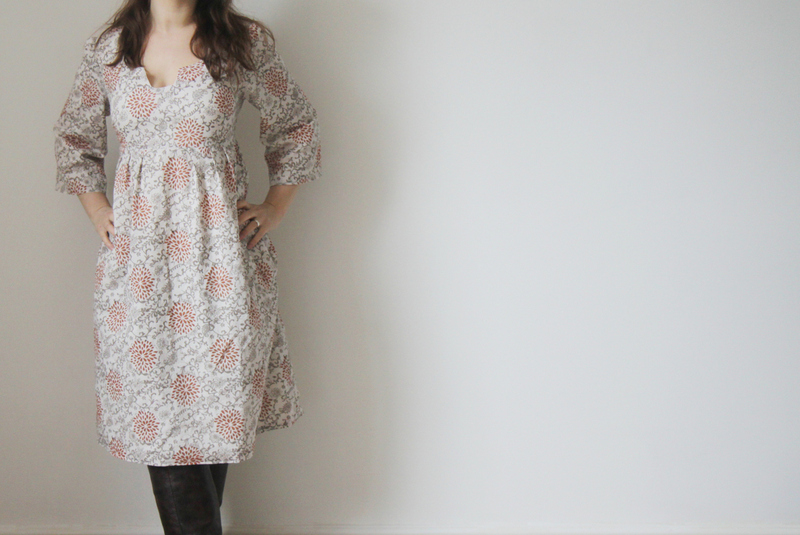 The main fabric is an organic cotton voile printed using herbal dyes in a paisley print. 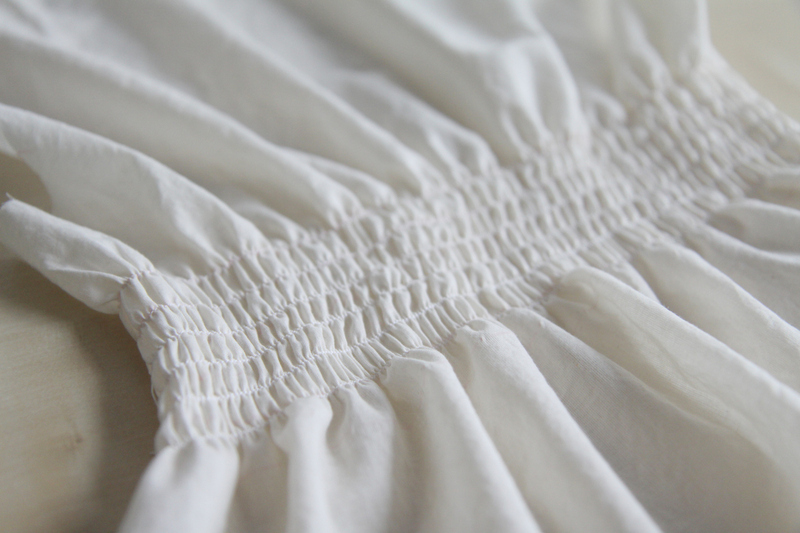 The lining is organic cotton batiste and the dress was sewn together using organic cotton thread. Both of these fabrics are ridiculous soft and feel so luxurious to wear! You can find tutorials for the sleeves here and for lining the dress here. Now I just need a new long sleeved cardigan that matches! I love it!! So gorgeous! You did an amazing job. Pingback: eco-dyed scarves | Hideous! Dreadful! Stinky!